For just one low monthly price, you will discover our greatest growth hacks to driving massive downloads. Learn more at AppMastersAcademy.com. 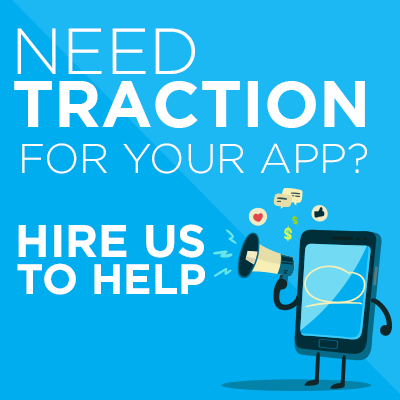 Are you looking to hire a development firm for your first app? Well you’re going to discover why documentation is so important, a simple way to validate an app idea and should you release fast or wait for a full version. Chaim Sajnovsky is the Founder at B7Dev. What to Do Next If You Have an App Idea? Once you have an app idea, you have to validate it. Do not publish it right away, instead, try to talk to the experts first. Ask their opinions and feedback about it. From your original idea you only have your own perspective, but once you hear the others’ opinion, you will gain a new point of view. Don’t be afraid if someone will develop your ideas first because what’s more important is how you do it. Consider this, Gmail is not the first free email and Apple is not the first computer. Learn to document everything in details. You can also consult your idea with a development agency. They will give you additional concepts and more solid visuals to carry out your idea. Also, you can just remove the elements you deem are not necessary. The experts’ suggestions will not harm your idea. They will actually polish your idea because they know the standards in the IT industry. Should You Release an App Fast or Wait for The Full Version? If you think of it, the first version of Google Gmail and iPhone, it’s just similar to its latest version. This is because developers wanted to deliver a solid app. They wanted to prove themselves. Afterward, users suffer from constant updates because they are still fixing their app. It takes a number of fixes and improvement before you can develop a very advanced app. So, for this, it is better if you go for MVP – minimum viable product. The most important thing is to include the core features of the app and add the other features later. So basically, deliver a basic and working app. Then, gather the users’ feedbacks. By then, you will know what they love and hate in the existing app. You can then proceed and do the changes, fixes or improvement based on their reviews. How can AI and Machine Learning Help Your App? AI and machine learning are expensive systems. It’s important to note that you need a huge amount of data to use these. AI and machine learning are based on the global concept called data science. You cannot apply these if you don’t have any data. So, basically, AI and machine learning cannot be applied to new release apps. However, once you receive a lot of feedback and interaction from your users, then you can start running the algorithm for data analysis. You can then use this to predict what the users prefer to do in the app or what they prefer to buy. It will also tell you the users’ behavior and see the relationships between the data that you haven’t considered in the first place. What You Should Be Looking For When Hiring a Development Company? The first thing you can do is reach out to those who already get the service of the said company. You can ask their former clients what the company did for them and how it was working with them. Another thing to do is sign a non-disclosure agreement (NDA) and get a quote. You can also get a quote from different companies or agencies. In fact, it’s best if you ask for a quote from several companies for reference, so you will have an idea what’s the average quote. Then, compare the prices. If you get a very low quote, then that is very suspicious. Almost no one thinks about the security of an app, but this is very important. Chaim and his team are advancing in this area because they know that it’s the next biggest threat in the industry. Every app should make sure that they do not suffer from a breach of data. In case this happens, the developers should admit it right away. Thus, developers should make sure that their app is safe for them and for their users. Also, if you have an app, think in advance the possible issues that you will suffer if your app is not repellent to cyber attacks. 1:16 – What to do next if you have an app idea? 2: 58 – Why validation is important? 8:55 – Should you release fast or wait for a full version? 12:27 – How to use AI and machine learning for your app? 16:07 – What is data science? 19:55 – Is App security important? 23:19 – What you should do before hiring an app development company?